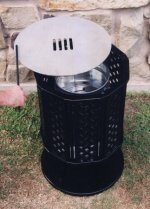 This classic unit, designed to burn a range of traditional fuels under the dished, swing-away hotplate, immediately converts to a safe and attractive brazier simply by lifting off the cooking plate. 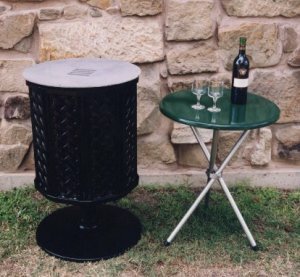 The sturdy powder-coated all-weather cover becomes a handy table when placed on the fold-away legs. 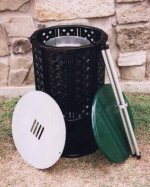 When not in use, the "four-in-one" is ideal as a planter.